If you knew how to be more productive, do you think it would change your life? I know it would for me. Driven, ambitious people tend to have lots of goals. It’s frustrating because most often we’re not achieving them as fast as we’d like. Deep down, I think we all know we waste time, procrastinate and sometimes even sabotage ourselves from doing the things we know would make a difference. Since I can remember, I’ve had a fascination with productivity and a personal quest to figure out how to be more productive. I’ve still got a long way to go but having this knowledge has helped me achieve some big goals and help the teams I’ve worked with get great results. Recently, I decided to dedicate this next chapter of my life to helping individuals and teams become more productive. Lots of people I know have great ambitions and fantastic skills, and yet struggle to actually do the things that would help them achieve their goals. It breaks my heart when I see this happening! Here in this article, I’ve decided to put together the best research, tips and habits which can show us all how to be more productive. You can skip to the appropriate section…. 4) Do Your Action List! Like it or not, the first fundamental of being more productive is prioritization. Think of the truly impactful, amazing people you know. Chances are, they have an uncanny ability to prioritize and hone in on those things. They decide what’s important, and then they do the important things. In order to prioritize we first need to accept that we simply cannot do all the things. Instead, we must proactively decide which things to do. And the more things we include in this list, the less effective we’re likely to be in doing them. Prioritization requires an awareness and the maturity to accept that we have extremely limited capacity – probably more limited that we’d like to admit! In fact, many of the prioritization methods actively restrict the number of things we can put on our plates. We are notoriously bad at planning ahead and estimating how much we can do in a day. Unexpected things will always crop up and everything takes longer than you think (see rule below). Because of this, we need to cut back our goals, and most importantly, cut back the number and scope of things we expect to do in a day. It’s sounds counter-intuitive, but by aiming to do less we actually get more of the important things done. Which is what leads to real productivity. There are lots of specific methods on how to prioritize, and each of these basically involve taking a big picture look at your goals, and then deliberately deciding on the things you’ll take action on. Some also include frameworks for deciding which ones you should pursue. Four-Burner Theory: You have 4 areas in life, but you can do two of them well at any one time. Of course, you can always decide on your own criteria for assessing options, give each of them different weights, then score each of your options against these criteria. This is a thorough and customizable method – however, your results will only be as good as the data you input. So if you’re just guessing at numbers, then you might as well just use one of the more high-level methods. When I was trying to figure out how to be more productive, I tried all of the techniques above, as well as many others. I found that having a daily action list is by far the most effective way to ensure I’m spending my energy on the most important things. It’s essentially the biggest productivity hack of all time (and the whole basis behind the Actioned Productivity Tool). 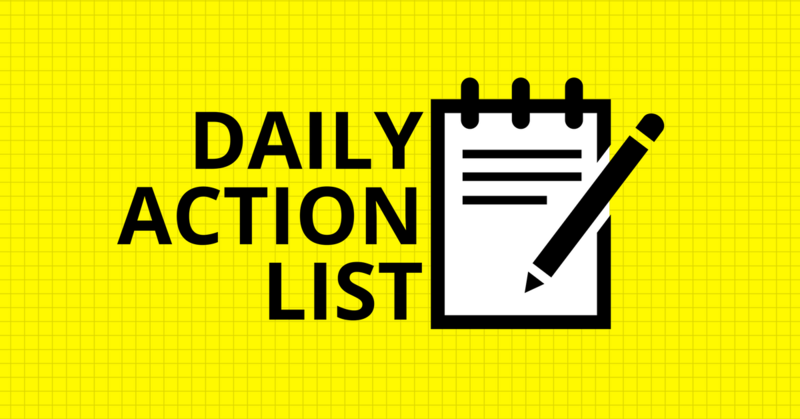 Many great leaders and productivity thinkers recommend a version of the daily action list as their tool of choice. Don’t confuse this with a to-do list though. With a daily action list, you only include the things you plan to do that day – ideally only 3-5 things, each of them important, and each anticipated to take less than an hour. You will still need a to-do list, or as I call it, a master task list, as a repository to put all of the things in your head that you think you want to do someday. Then, by reviewing your goals and your master task list, you decide on the few actions for each day. Here are some guidelines on how daily actions, tasks and goals fit together to give you a robust productivity system. Whichever prioritization method you decide to use, don’t overcomplicate it! Just make sure you feel comfortable that you’ve selected the most important things for you. Decide on a few goals, objectives or priorities – whatever you prefer to call them – that you can commit to focus on at the exclusion of other, second tier things. So if the first fundamental of productivity is to decide with prioritization, the second fundamental is to focus and actually do the things you need to do. A bias towards action is what gets things done, but not all action is created equally. The majority of our work and energy should be spent on activities that are actually linked to our top priorities. After all, most of us can easily spend our days feel like we’re “working hard”, but if we look back at where we spent our time, we find that we’ve spent too much time in busy work (or fake work). It’s so easy to get lost in a sea of emails, phone calls, meetings, information gathering, and other people’s requests! All of this is our natural human response. We’re wired to take the path of least resistance and stay within our comfort zones. Unfortunately, usually the work required for our most important priorities involves doing things that challenge us in some way. They might be difficult conversations, tasks we’re not sure how to start, decisions we have no reference point for making, or maybe they involve a volume of work that seems insurmountable. No wonder we’re so susceptible to distractions and so prone to procrastination! No matter how clear you are on your priorities, unless you have the ability to shut out all the other things vying for your attention and time, it’s extremely hard to make much progress. On the other hand, you can make a LOT of progress just by gradually chipping away at your top priority. To achieve amazing things, we don’t actually need to be doing hard, focused work for 12 or even 8 hours a day – in fact, it’s near impossible to do this. Instead, being productive is about having the discipline and techniques to get yourself to spend a relatively small chunk of time each day focussed on those high priority actions. But don’t be mistaken – spending even just a few hours a day highly focused is HARD work! When the going gets tough, our psychology is wired to look for other things to do. If you work from home, you might notice yourself cleaning or doing other chores – not necessarily pleasant, but easier than tackling that hard thing you should be doing! Or you might find yourself researching your next piece of work, instead of actually doing the work you said you’d do. Even when we do get into focus-mode, there are also so many potential distractions ready to pull our attention away. Email and social media keep us addicted to checking our notifications, co-workers are facing their own procrastination demons and have questions or are ready for a chat, not to mention the infinite source of information and legitimately useful materials sitting within just a few keystrokes of us (the internet!). So, if we want to be more productive, how do we actually get focussed? Scheduling – Put your tasks into your calendar and literally schedule them in. Sprints / The Pomodoro Technique – Instead of trying to focus for hours on end, just determine a set time (25 minutes is often recommended) and then take a break. Gamification and Rewards – This generally involves giving yourself treats or rewards. To get the prize, you need to do focussed work for a certain time, or complete one of your actions. Some systems allocate points for getting things done -which then results in achieving new levels, status’ or prizes. Streaks – If there’s something you want to do every day, create a visual representation of which days you’ve done that thing. Jerry Seinfeld used this method to write a joke a day and coined this as “don’t break the chain“. You can use a simple calendar or there are many apps that do this well. Accountability – If you know other people are expecting you to do a certain thing, you’re much more likely to do it. So now that we know a lot more about the main ideas on productivity, how do we actually become more productive? Many people think they know what they’re aiming for but when pushed, it’s actually not that clear. If you’re serious about being more productive, don’t skip over this step! Instead, force yourself to do the hard thinking and write up a few very specific goals for each area of your life. They can be written in a notebook, or using a tool like Actioned. Once you’ve decided on your goals, keep them top of mind. Figure out a system so that you’ll see your goals regularly. Put them on a post-it note where you’ll read them regularly or introduce a regular time of day where you actively review your goals. Every day, take 10 minutes to plan the next day. Look at your goals and your master task list and proactively decide; what are the top few things that you could do tomorrow to move closer towards your goals? Write those things down. This may seem obvious but unless you decide to actually do those things on your list, they won’t happen. Get into the habit of starting work on the first thing on your list. Figure out a way to stay focused on your actions. For example, work solidly on your first action and then allow yourself a break. Then get to your second thing. If your actions are small and already put in order, this becomes a lot easier. Don’t stop to question what you should be doing, just stay in action mode! 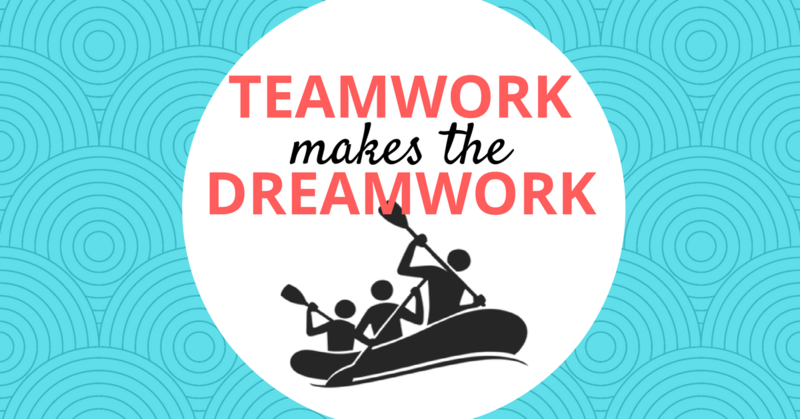 If you work with a team, use this to your advantage and tell everyone what you’re planning to get done. Don’t wait for someone else to insist you have something finished by a certain time! Remember, you want to get these things done! Tell your team you’ll show them a draft by the end of the day, or let a client know you’ll have a new feature by tomorrow. Or, if you don’t have a team or clients, start a mastermind group. Other people’s expectations is an underused driver, so find a way to incorporate accountability into your productivity system. The final habit is to find a way to feel good about productivity. Whether that’s using a method like Seinfeld’s calendar, or a tool like Actioned which shows your Completed Actions everyday, you should aim to end the day feeling satisfied with your progress. Many of us overlook this step, but if you think about the opposite scenario – you end your day feeling frustrated and disappointed with your outcomes. This inevitably leads to self-doubts which make it harder for us to get ourselves to do the difficult, but most important work. On the other hand, if you can end each day feeling positive, your self-confidence grows. Which, of course means that you have more stamina to stay with the difficult tasks – because you know you’ll break through. So those are the keystone habits of productivity. Incorporate them into your life regularly and your productivity will be through the roof! If you’re still craving more thinking on productivity, we’ve put together a list of some of the leading minds in the productivity space. David Allen, author of the Getting Things Done book and framework. The popular GTD process allows for capturing all the things in your head and putting them in one place. It involves categorizing each item to help organize them logically. The process also includes a weekly review. Leo Babauta, writer at zenhabits.com. Babauta writes about minimalism but his writing often includes original thinking on the psychology of productivity. James Clear, writer at www.jamesclear.com. James has a great story-telling style and makes theoretical concepts very concrete. He often writes about the science of habit change – including the effects of scheduling, managing your environment, and incremental improvements. Steven Covey, author of The 7 Habits of Highly Effective People. His theory about putting rocks, pebbles, sand into a jar is one that resonates strongly with many people. Tim Ferris, most known as for his book, The 4 Hour Workweek. 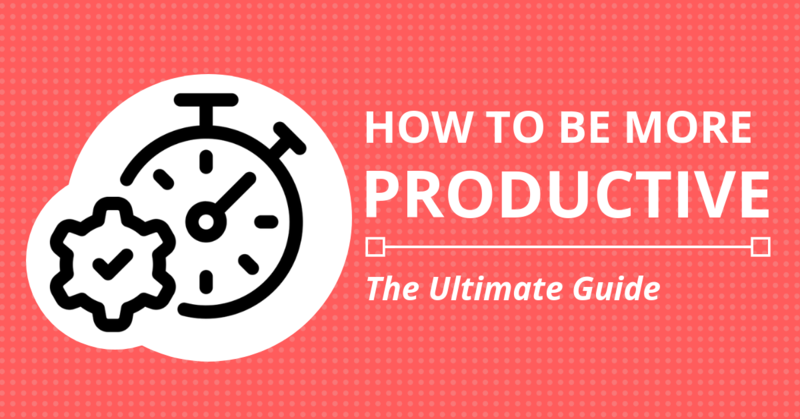 Although the title sounds gimicky, this contains lots of gems that will change your perspective on productivity. Tim also has a great blog and podcast where he interviews leaders from all walks of life. Benjamin P. Hardy, writer on Medium. Original thinking with practical applications about productivity and ways we can change our lives for the better. Gary Keller, author of The One Thing. Kelly persuasively argues that most things are not as important as we think they are. His central idea is that one, single thing should be our focus for better results. Gretchen Rubin, author of Happier, Better Than Before, host of the Happier Podcast. She has a great framework for understanding yourself better and also 21 strategies for changing habits. Jerry Seinfeld, comedian. Obviously, he is more known for his comedy, but Seinfeld coined the “don’t break the chain” method when he explained that he writes a joke a day. Brian Tracy, best known as the author of Eat That Frog, Brian Tracy is focused on productivity in business, sales coaching and personal development. Jake Knapp and John Zeratsky, authors of both Make Time and Sprint. I’ve only recently discovered their work but these guys have an original approach to taking control of our time, attention and energy. Lots of very practical tips for being more deliberate and therefore making more meaningful progress towards our goals. To finish off this epic productivity guide on how to be more productive, we thought we’d end with some inspiration from our favorite productivity quotes. Being perpetually busy is akin to being sloppy with your time and is ultimately a form of laziness. What we think, or what we know, or what we believe in is of little consequence. The only consequence is what we do. So now you know how to be more productive, it’s just a matter of putting everything into action. Don’t let this be just another article you read and forget about! Follow the steps and incorporate them into your daily life. You won’t regret it! Thank you for collecting these perfect tips and experts’ thoughts! 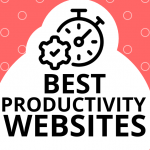 Happy to inform that this post is included in our recent part of Productivity Articles roundup!